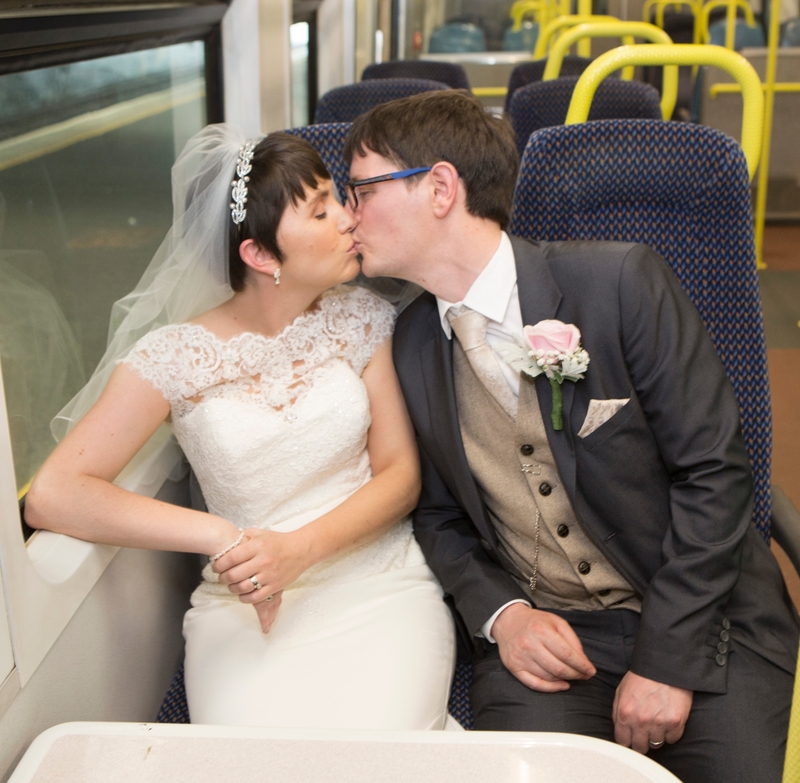 A MAN and woman who met on the train six years ago have returned to the platform at Limerick’s Colbert station on their wedding day. Local woman Rachael Finucane and her groom Dermot Comerford, from Clare, also made history as the first staff members to get married in the chapel at Mary Immaculate College. The pair met on the Dublin to Ennis train six years ago, when they ended up sitting beside one another. Rachael, who is a former journalist, said that she met Dermot in April 2012. She had booked her seat online, and found her future husband sitting in the next seat when she arrived. The charismatic chap greeted Rachael by her name, having seen it in the display above the seat. And by the time the service from Dublin had reached Limerick Junction, they were off to a great start. He even offered to carry her bags to the next train, she said. And on Friday after exchanging vows at Mary I, where they both work, the couple went to the train station to remember their beginnings on the Iarnrod Eireann service - and the very different journey on which they were embarking that day. They were met by Colbert Station manager, Philip Conway and red heart-shaped balloons, and they boarded the train - just like that first day in 2012.